The epicenter of the housing bust that happened ten years ago is booming again, but economists say that’s a bad sign and should be taken as a warning. Las Vegas’ housing boom is anything but a good thing. This quiet working-class town of North Las Vegas, just beyond the glitz of the Las Vegas Strip, helped spark the global financial crisis 10 years ago. The fallout was inescapable: Nearly one in three homes went into foreclosure. The community is once again booming and the economy is growing. Companies are hiring, and the housing market is hot, with this suburban enclave spreading farther into the Mojave Desert. But few can afford the houses available. According to the New York Times, housing prices in North Las Vegas are rising so fast that many communities are no longer affordable. Much of the new construction is at the high end, keeping out many first-time homeowners. Some cannot come up with money for a down payment, while others are wary of getting back into a market that once burned them. As most know, for far too many, the American dream of home ownership is now out of reach. It is increasingly a nation of renters. Prices are up more than 135 percent from the depths of the crisis in North Las Vegas, rising almost three times as fast as the national average, according to the analytics firm Black Knight. It may seem like things are looking up, but a chief housing economist thinks otherwise. “It sets up a situation in which the housing market looks largely healthy from a 50,000-foot view, but on the ground, the situation is much different, especially for younger, first-time buyers and/or buyers of more modest means,” wrote Svenja Gudell, chief economist at Zillow in a response to the latest home-price data. “Supply is low in general, but half of what is available to buy is priced in the top one-third of the market.” Meaning Americans are increasingly being priced out of homeownership. 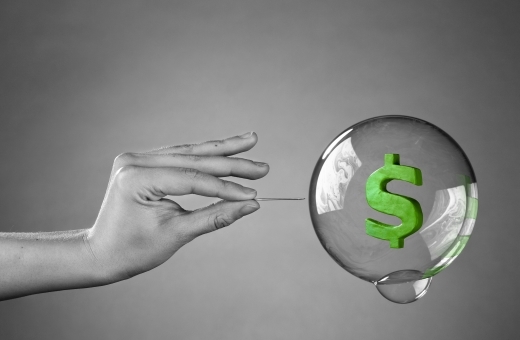 Soon, renters could be priced out of renting too when the economic bubble finally bursts. Typically, all of this would translate into a strong seller’s market and values continuing upward, reported Clermont News Leader. However, interest rates are having an effect. “With mortgage rates rising, we are beginning to see a decrease in buyer demand,” said Brandie Mathison-Klein of Keller Williams Classic III Realty. “Some buyers have quit looking because there aren’t enough homes that fit their criteria, and others are simply priced out of buying altogether,” she added. Thanks to central banks and a government controlled economy, the American dream seems all but dead.